Six weeks later, after many conversations and much prayer, they decide their call to marriage recognizing that their love for each other is a gift from God. But Rosemary holds out for a confirmation from God and Denis points out that this could take some time! The peace-filled answer comes and they marry six months later and move to Paris, France where Denis finishes his studies. They attend a Love and Truth seminar for couples led by the Emmanuel Community and their “home within the home” in the Church is decided upon. As members of the Community, in France and then in the United States, they serve God and His Church by sharing the talents and graces that they have received. Praying together, praying for each other and for their children, praising together, forgiving by the grace of God, entrusting themselves to Him, serving together: these are their secrets to happiness. January, 2014, after moving between the States and France with celebrations like the “15 years of marriage and 15 moves” Party, a demanding professional career for Denis, a Fidesco mission together with two of their children, Denis dies of a heart attack in his sleep at the age of 57. God is the master physician holding each one in the palm of His hand. 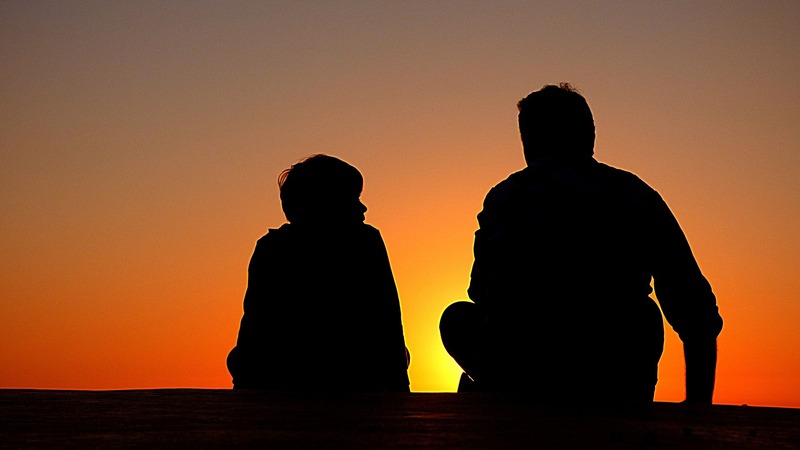 Having had six children, four of whom are married, six grandchildren, Rosemary wonders how to raise their 15 year old alone, as he so needs his father; how is she to be a presence for the older children, their spouses and the grandchildren? God sees the needs, as He always does, and provides. Their youngest son’s faith life deepens: God the Father is present in his daily life. Yes, there are ups and downs but he never truly feels alone nor abandoned. Denis’ intercession touches each member of the family and well beyond. Rosemary finds the Valentine’s Day card that Denis had prepared days before his death! In marriage, a couple is called to holiness together and to work to get each other to heaven. Rosemary is convinced that her job is not over! The prayers and sacrifices continue for Denis even if he is no longer physically present on this earth. As Saint John Chrystostom said: “They, whom we love and lose, are no longer where they were before. They are now wherever we are”. 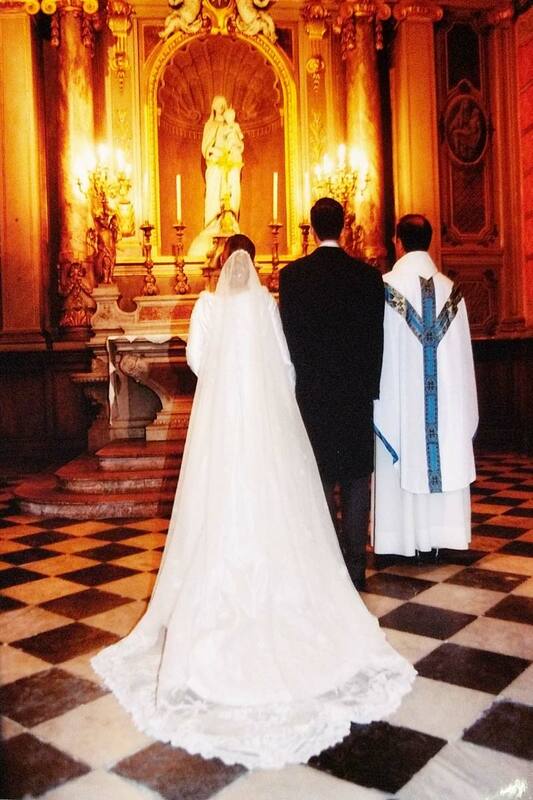 After 33 years of marriage, do the graces of their Sacrament persist? Rosemary shouts a resounding YES to this important question. The daily morning praise is a moment of spiritual communion; the inspirations to do or to say something are examples of the grace of their sacrament that continue to bear fruit. To be persistent, as Saint Claude de la Colombiere states, is a gift from Heaven for which the most inconstant can hope. Denis is persistent in interceding for those still on pilgrimage here on earth. May we all be graced to do the same. Thank you Rosemary and Denis! How strong is the Communion between Heaven and Earth, God’s people here on earth and already departed to the Father. A beautiful witness to our Faith that life does not stop with death. Such a beautiful wrap-up of the “Love Story Project”! Thank you, Rosemary, for sharing this! Merci ma chère “co-mère” pour ce témoignage émouvant. Oui, nos “absents” sont bien présents dans nos vies! A witness that makes the rest of us stronger in our own state of life!